The world is getting more and more dangerous by the day. There are wars popping out of nowhere, and innocent people getting caught in the middle and getting hurt. This is why powerful countries like the United States have to protect their top secret military information to make sure that their security is airtight. They also have to make sure that certain positions in the government are filled by people who are trustworthy and whose loyalty to their country is unwavering. This is crucial because even a minor breach in security can have dire consequences. For this very reason, security clearances were created, along with other Security Agreement Forms that help protect the security of various companies and organizations. A security clearance is a type of clearance provided to individuals for them to have access to classified and protected information, and restricted areas. 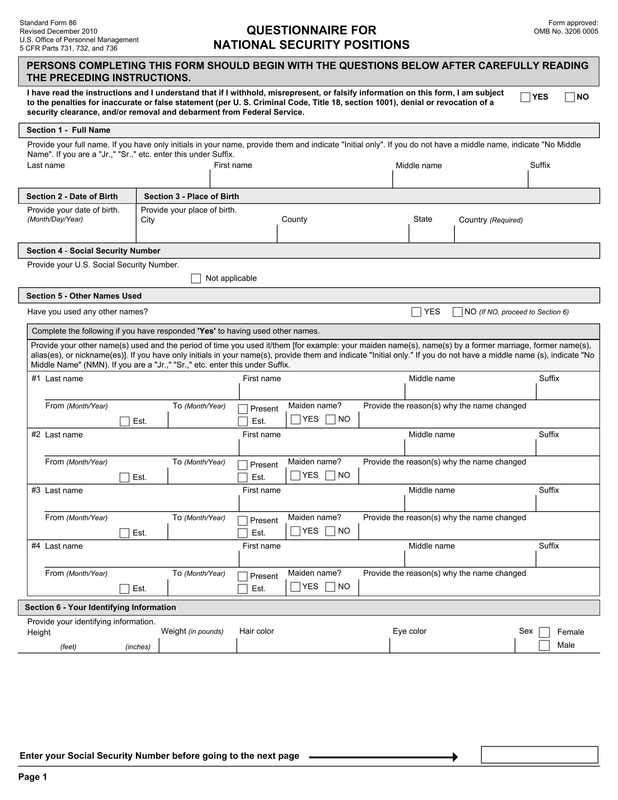 This is provided if they have filled out the proper Security Application Forms and passed a thorough background check. A security clearance is given to government officials who need access to national security information. Getting a security clearance is time-consuming and costly, which is why employers would not apply for an employee to get one unless it is absolutely necessary. You cannot apply for a security clearance yourself. For you to obtain a security clearance, you would first have to land a job in a government agency that requires a security clearance. This is because your employer will be the one to apply for your security clearance. 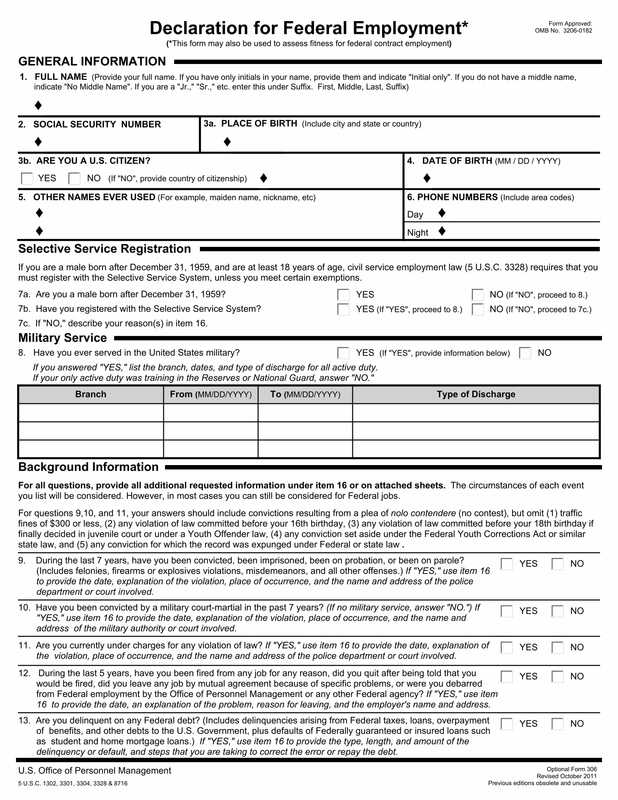 Once you are accepted in the job, your employer will require you to fill out a Questionnaire Form for National Security Positions. Make sure to answer this questionnaire honestly and completely. The government will then conduct a very thorough background check for which Background Check Authorization Forms are used. This will cover up to 10 years of your activities. They will call your contacts (your friends and family) as part of the character investigation. It is advisable to give your contacts a heads up. After the background check comes the interview, which is conducted by a representative of the Office of Personnel Security and Suitability. You will usually be called in for an interview, where the interviewer will be asking questions based on an Interview Assessment Form, within a few weeks from the submission of your application. It is important to answer the representative’s questions truthfully, no matter how silly they may seem, because they are not only recording your answers, but taking note of your manner of answering as well. Your employer may then apply for an interim security clearance from the Office of Personnel Security and Suitability. This will serve as a temporary clearance that can be applied for once the minimum investigative requirements are met. Obtaining a security clearance is a long process that could take up to a year at the most. There are times when the Office of Personnel Security and Suitability will follow up on your application to require more information or to take your fingerprints. If there are no complications or issues with your application, you will get your security clearance in 90 days. You should brace yourself for a security clearance review after a number of years, depending on the level of your security clearance. The TSA or Transportation Security Administration is a government agency under the Department of Homeland Security that was founded as a result of the attacks on the United States on September 11, 2001. TSA officers are responsible for screening the passengers as a protection against terrorism. 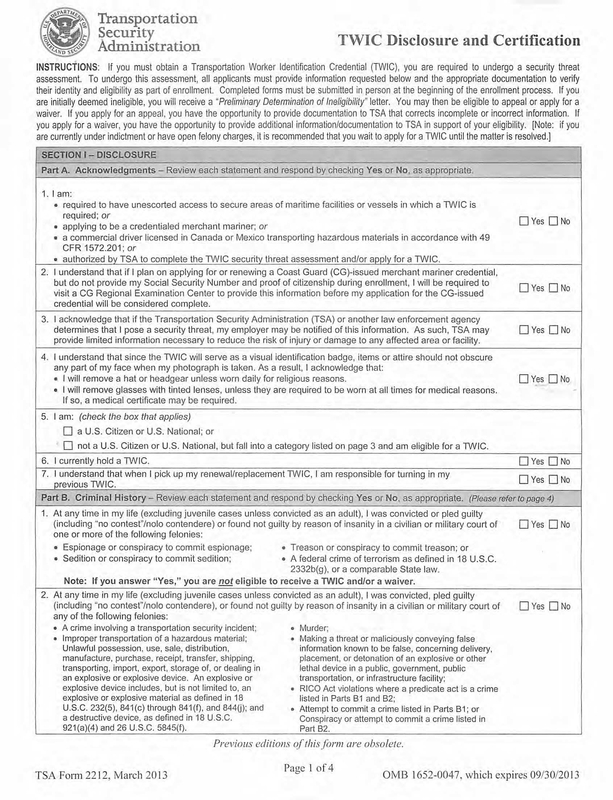 To obtain an airport security clearance, you must be a United States citizen and pass the background check. The process varies with each TSA position, but there are certain positions that would require a language test and an aptitude test. You will also be asked to present a health certificate, along with your drug test results. This is a security clearance that you can apply for yourself online, even before you apply for a job. Like airport security clearances, this is issued by the TSA or Transportation Security Administration. This is required for people whose jobs involve accessing the USA’s national maritime vessels and facilities. Confidential: Unauthorized disclosure of confidential information will have significant damages to national security. This type of clearance is reviewed every 15 years. Secret: The unlawful disclosure of secret information to unauthorized individuals can cause serious damage to national security. This is reviewed every 10 years. Top Secret: This is the highest level of security clearance, wherein unauthorized disclosure will cause a very grave and dire damage to national security, which is why re-investigation for this level of clearance happens every 5 years. There are just information that are not meant to be shared with everyone else, especially with competing entities, which is also why Confidentiality Agreements Forms are used by private companies to make sure that their trade secrets are not leaked to their competitors. 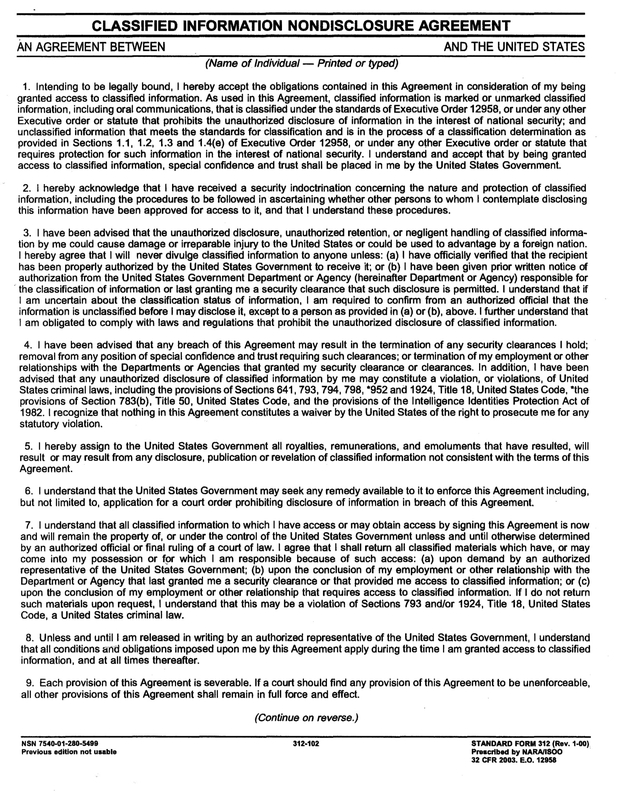 Aside from a security clearance, qualified individuals are also required to sign a Non-Disclosure Agreement Form to stipulate the terms and conditions relating to the agreement not to disclose any protected and confidential information. 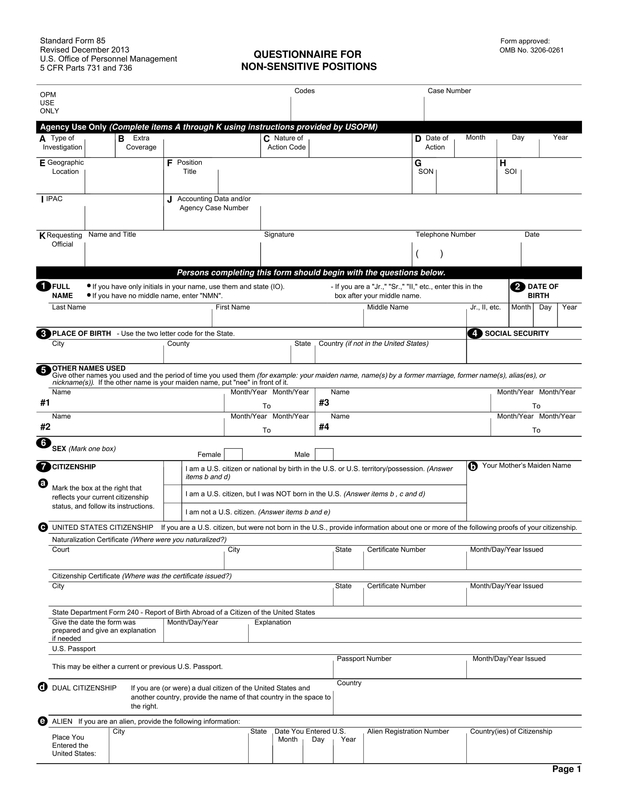 You may download our forms here and study them to get more ideas about security clearances.